We accept guest posts from reputable authors who write unique, informative and relevant articles on cycling related subjects. 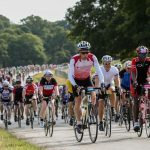 Bikes.org.uk is a cycling blog with helpful advice on how to become a better cyclist, including fitness & nutrition tips, information on cycling sportives, bike reviews and other cycling product reviews. The Bikes.org.uk website has gone through several incarnations but is now a dedicated cycling blog, written from a personal perspective by Mark Taylor. Like many cyclists, I’ve been riding bikes since I was very young and despite now being just a little older, I love it just as much. I’ve done my time on touring bikes, have cycled throughout the UK, including Lands End to John O’ Groats (yes, uphill!) 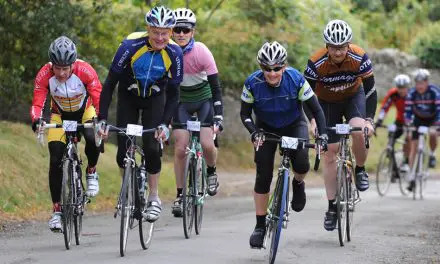 and now have fun on a mountain bike in the hills of North Wales, do regular charity bike rides and quite a number of sportives across Wirral, Merseyside and Cheshire on my road bike. If you would like to write an article or post as a guest author on this cycling blog, please read the following guidelines before contacting us using the contact form below. Guest posts must always be written solely for the Bikes.org.uk website and must not have been previously published, online, digitally or in print. 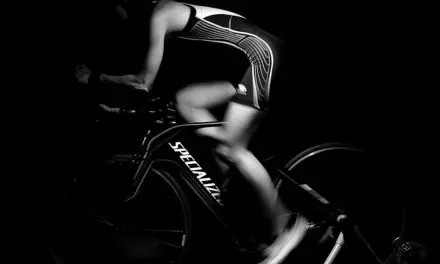 Articles must be cycling related or of interest to our readers, which may, for example, be other active sports like skiing, boarding, hiking & water sports or health, nutrition & fitness related. Cycling related topics include things like bike reviews, cycling equipment reviews, cycling news & events, road safety issues or campaigns, and many other topics like these. We are happy to publish articles on subjects that we believe our readers would be interested in, such as healthy living, foods and nutrition but we will not publish an article of low quality, on generic topics or ones that are off topic. I never accept money for articles or reviews so please don’t ask, I simply delete these emails without reply. I do however, run free-to-enter competitions for cycling related products from time-to-time. If you have an idea for a competition, please contact me with your proposal. We reserve the right to edit all articles submitted for publication on the Bikes.org.uk website (“website”, “site”) and the Owners of this website retain all rights to the article once submitted. All articles published on the website, regardless of the original author, remain the property of the owners of this website. By submitting an article to this website, you give permission for it to be published on the Bikes.org.uk website and accept that ownership of the article is the property of the owners of this website. Intellectual Property rights are owned by the owners of the Bikes.org.uk website for all published articles and by submitting an article to this website, you also give permission for us to use any Trademarks and images in the submitted article. Articles that do not meet these quality guidelines will not be published. We reserve the right to reject any article that does not meet our high standards. These rejections may or may not be communicated to the person or company who submitted the article. Published articles may not be republished in any form, either online, digitally or in print without the permission of the owners of this website, in writing. To be considered as a guest author on this cycling blog, please complete the following submission form. It is assumed that you are seeking to share information with this community and that in return you will see value in the mutual promotion of our brands. As such, you’re expected to help promote the guest post by sharing it across the social media networks of the brand you are hoping to promote so please list these below. Declaration: I declare that I will not publish the article elsewhere nor syndicate the article for publication, offer the same article or comparable content to anyone else. I agree that every effort will be made to help promote this article on social media, including the social media accounts of the brand(s) seeking to be promoted. Failure to adhere to this Agreement will result in it being terminated and as a consequence, the article will be deleted from this website. By submitting this proposal for consideration, I agree to the terms & conditions of this Agreement.